It’s been called “the biggest act of mass-religious observance of its kind”. US president Barack Obama referred to it as a time of “gratitude for the gifts that God bestows”. And the Vatican has described it as an opportunity for “human and spiritual growth”. Next week (6 June 2016) sees the start of Ramadan, when three million Britons, and billions globally, will fast from before sunrise to sunset each day for 29 or 30 days. 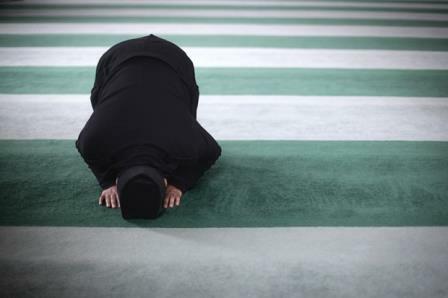 Fasting, or ‘sawm’ in Arabic, is part of an ancient tradition found in many world religions, and constitutes one of the five pillars of Islam.For Muslims, fasting is a physical, moral and spiritual discipline that requires sacrificing everyday needs and wants for the sake of Allah – not merely food and drink, but anything that might distract from His remembrance. At this time of year, when the days are long, a typical fast would be for around 18 hours. While this holy month enables Muslims to experience the hunger and thirst of the less fortunate, the main purpose is self-purification: fasting acts as a detox for the body, mind and soul in order to attain nearness to God.Yes it’s challenging, just like everything else we strive for. Professionals who aspire to climb the career ladder and athletes who train to become the best must all struggle to accomplish their aims. No pain, no gain. Faith works along the same principle: progress and attainment, to use educational terms, apply in spirituality just as much as they do in anything else.Demanding as it is, sawm is obligatory only for healthy Muslim adults. Why, then, do so many children fast, and how can teachers ‘accommodate’ them at school? But just because many Muslim pupils fast does not mean it is expected – or even acceptable. My wife, who works in a primary-school setting, remembers with dismay last year the number of pupils who were struggling to participate in her lessons because they were fasting. One boy in Year 5 complained about feeling weak, and when she told him to take some water to break his fast, he refused and said that Allah would punish him if he did.Sadly, he is just one of several children in a similar position who don’t know any different, and have very likely been pressured into fasting at home. Even more unfortunate is that the same thing is likely to keep happening in the same households.Not in mine, though. We have three children – the eldest being 14 – who will not be fasting. No age is specified in the Qur’an or sayings of the Prophet Muhammad regarding Ramadan. Whilst fasting is generally expected from the age of adolescence – and this will vary from person to person – it is really down to the individual to decide.The central aims of fasting – intensified worship, increased charity and inner change – can only be expected of those mature enough to exemplify those virtues Those who are exempt – such as the sick, elderly, women who are pregnant or menstruating, and travellers – are instead required to pay towards meals for the destitute, which is known as ‘fidya’. Clearly, children are not in any position to do this. One can of course understand a Muslim child’s enthusiasm when this blessed month arrives. I remember too, when I was growing up, the hype and excitement as Ramadan approached; this was one month that united the whole family, community and indeed the global ‘ummah’, and so something I naturally wanted to be a part of. I loved getting up early to have breakfast and ending the fast with a date and strawberry milkshake some hours later. I was allowed, only because this was around the time Ramadan fell in the winter months when days are much shorter than the present season.There is no problem with children wanting to try partial fasts in the day, as a ‘taster’ before they become fully fledged fasters in adulthood. But whilst encouragement is one thing, enforcement is quite another. There is nothing righteous about compelling children to starve and make themselves ill, which is against the spirit of Ramadan. The Associations of School and College Leaders is right to advise teachers to stop pupils from fasting in school if their health is a concern. This is important not merely because of the potential impact on GCSE and A level examination performances, but in the wider context of safeguarding and children’s wellbeing. As stated in their guidance, the compulsory pursuit of education, as taught in Islam, supersedes any acts of religious observance not binding on the young.My wife and I hope that by seeing our renewed commitment to self-reform, our children will be inspired to develop a real understanding and appreciation of the benefits of Ramadan later in life. While they might not be ready to fast yet, we will definitely give them plenty of food for thought. Share the post "Why my children won’t be fasting this Ramadan"